Today is my mother's birthday so I had the family over for lunch! Instead of a cake I made some fudgy, gooey, delicious, frosted brownies from scratch! 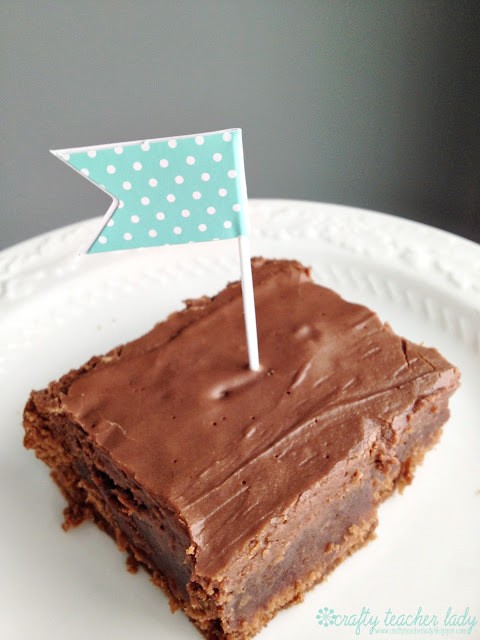 The recipe is called 'Lunch Lady Brownies' because it is reminiscent of the brownies that were served in many an elementary school cafeteria in years past! It's super easy to whip up and the layer of frosting on top is a perfect addition to the cake-like brownie base. Visit Saltbox House, which is where I found the recipe, to read more and make your own! There's even a gluten-free version listed, too!